For this interview, Jiyeon Juno Kim of Runaway Juno, a South Korean, shares with us her experience travelling in and around Malaysia over the few trips that she has made to the country. She's currently basing herself in Kota Kinabalu, Sabah to prepare for her second Asian Women's Empowerment Conference (AWE '14) thereafter successfully holding the first conference in Kuala Lumpur, Malaysia in 2013. [ a ] I entered Malaysia in 2005 for the first time during my two and a half week backpacking trip starting from Singapore. One of the reasons why I chose Singapore and Malaysia was because English is the only foreign language I knew. I couldn't imagine travelling to other countries which don't use either English or Korean. Penang, Kuala Lumpur, and Malacca were on my list but I didn't know how to make the trip happen. I was a beginner at travelling. My friend Jenny, whom I met in Singapore, was heading to Malacca and I decided to tag along. She and I travelled to Malacca, and to Kuala Lumpur together. [ a ] I didn't know much about Malaysia except English is widely used. I was a beginner at world travel. It was my third country to visit after New Zealand and Singapore. Malaysia was a very exotic world for me. Once the water cut off in Malacca, we had to wash ourselves with baby wipes. The National Mosque, still one of my favourite buildings in Malaysia, is quite impressive. I've never met Muslims before travelling to Singapore and Malaysia. They made me wear the blue robe to enter the mosque. It was such a special feeling. [ a ] I stayed about a week in Malaysia during my first visit, but that wasn't the end of my relationship with this country. I came back to Kota Kinabalu in 2011 for a few days and spent extended time in both Peninsular Malaysia and Borneo last year (2013). I chose Kuala Lumpur to host my very first Asian Women's Empowerment Conference (AWE '13). There are so many reasons why I keep coming back to Malaysia, and food, people, and culture are among a few. Malaysian cuisine is one of my favourites in the world. If you follow my social media, you would know that I'm a huge fan of Sarawak Laksa. Freshly made nasi lemak is hard to beat. Malay lunch buffet in the small alleyway was a daily routine. I grew up with a homogeneous culture. For me, Malaysia is such an interesting melting pot with Malay, Chinese, Indian, and indigenous people. Each of them has a strong identity, but also they create one unique culture together. [ a ] As I mentioned in the previous answer, laksa is my favorite Malaysian cuisine. Sarawak laksa to be exact. Penang laksa is okay too, but Penang has to have a separate section. Everything tastes better in Penang. I tried durian in Vietnam a few years ago, and never tried ever since. I couldn't handle the texture. But I'm willing to try again but only with a local friend who knows a lot about durian. [ Q ] As a woman traveller, did you encounter any safety issue while in Malaysia? What precaution did you take, if any, and what safety advice would you give to others, in particular other woman travellers, who are thinking of travelling to Malaysia? [ a ] As I said, religion is a big part of life here. This is not a safety issue, but it's always better to be sensitive. Even if you are not a believer yourself, try to respect the local people's beliefs. Other than than, Malaysia is generally safe and clean. [ a ] There are sensitive issues people might not encounter daily in other countries, like religion, and it can be uncomfortable depending on what you believe. 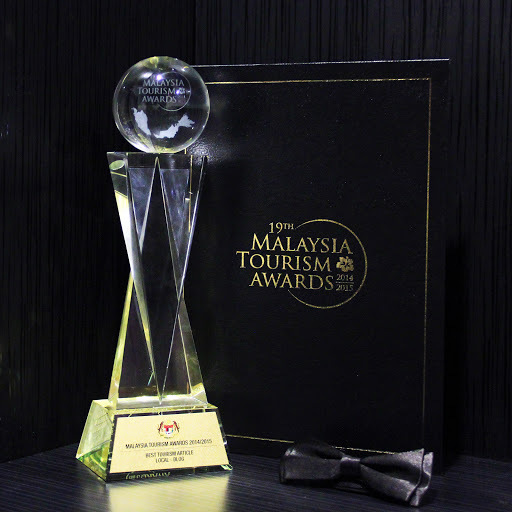 However, Malaysia is a great place to stay for many reasons. It has many aspects I cherish: nature, culture, food, and diversity. I have to say, Malaysia is the best place for travellers who are travelling to Asia for the first time. [ a ] Travel outside of Kuala Lumpur. As much as KL is a great city, Malaysia is so much more than what KL has to offer. Malaysia is well connected by trains and buses; only five hours to Penang and Johor, two and a half hour flight to Malaysian Borneo. Eat as much as you can, and try different cuisines: Chinese, Malay, and Indian for example. Pick up a few Malay words. Even though Malaysians are pretty fluent in English, it is always good to pick up some essential words. Juno Kim is an award winning writer & photographer at Runaway Juno Media. 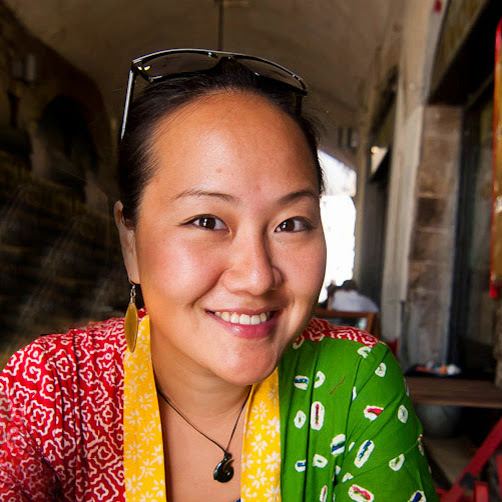 Hailing from South Korea, she left corporate world and struck out for the wider world to pursue her passion in international travel & storytelling. She has since been living out of a backpack, writing & photographing her way through more than 30 countries for the last 2 years. In conjunction with Visit Malaysia Year 2014, Ramble and Wander would be doing a "My Malaysian Experience" series, which is a series of interviews with fellow travel blogger friends from all around the world to share their personal experience while travelling in Malaysia. This is the third of such interview from the series. nice!! yay!! everything taste better in Penang...hehehe proud to be a Penangite here. Glad to read about AWE to be held here in KK. I immediately googled it - hope to participate in Oct '14.